This winter is pretty slow when it comes to making moves at the MLB level. There have been plenty of MLB rumors though. 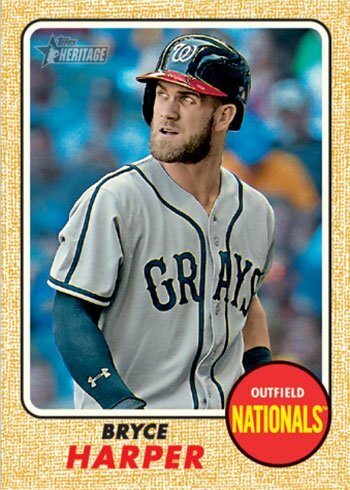 From Bryce Harper to Jason Heyward, I try not to get sucked in about who might be going where. Here are some random thoughts that keep going through my brain about this winter, specifically, acquiring Mr. Harper. If the Cubs sign Bryce Harper. The actual dollar cost is going to be substantial, but it is not going to be prohibitive. The Cubs payroll will only take a hit for a year. After 2019, things change greatly as the Cubs payroll drops dramatically for 2020. Zobrist, Hamels, and half of the bullpen become free agents. Technically, the Cubs could keep both Heyward and Harper, but the odds are against that. The Cubs will need to move some payroll in order to sign Harper. However, Heyward cannot be traded just by himself. The Cubs would have to sweeten that deal with an MLB ready players. Ian Happ is the most controllable ready guy and any team that gets Happ thrown in the deal would have him through 2023. I doubt if any team would take Almora as Happ’s bat is much more potent. The Cubs could even throw in Jose Quintana and ride with Mike Montgomery this year and next. It’s very unlikely to happen, but it’s a thought considering the cost certainty of Quintana for 2019 and 2020. Trading Jose would really cut into the SP depth at the MLB level. That may not be a cost the Cubs would be willing to risk. No team is going to take on Heyward’s contract along with Happ and that be the end of the deal. Some prospect is going to have to top off the deal., someone that a team could control for 6-7 years. Adbert Alzolay could be well liked by other teams as could Miguel Amaya. It will be interesting to see who the Cubs would be willing to part with in a such a transaction. Let’s say that Heyward is traded along with Happ. Then the Cubs sign Harper. That leaves Harper, Schwarber, Almora, and Zobrist as the outfielders. Kris Bryant could play out there occasionally along with David Bote. My only concern is injuries. Mark Zagunis is deserving of a shot and he’s the only OF at Iowa who has the skills needed to come up. The issue is Zagunis is not a CF by trade, He can play CF, but not at a high level probably needed at the MLB level. The Cubs would probably have to go out and get a veteran for either the bench or to store in Iowa. Jacob Hannemann is very good defensively, but has barely hit his weight at AA and AAA and has never really put that offensive aspect of his game together. At AA, and likely Iowa next year, Charcer Burks could be a guy as could Eddy Martinez, but they are a long ways away due to consistency. A veteran guy would give the Cubs more certainty as a known commodity. He is one of the top 3 players in the game and his addition would transform the lineup. I could see him batting second, third, or fourth and giving Manager Joe Maddon a lot versatility to mix and match lefties and righties in the lineup. In addition Harper’s true talent hasn’t really blossomed. Once teams learned they could work around him because of the Nats’ lineup, it changed things. If Harper signs as a Cub, he’s going to see a lot more pitches in the zone with Bryant, Rizzo, and Baez behind him. And that’s the key. He is going to cost something but he is going to be worth it. What the Cubs get for the cost will far outweigh what they give up. The Cubs could begin to make moves here in the next two weeks. If Heyward is moved, that will be the sign. If not, the Cubs are going to have to go to “Plan B.” No one knows what that is. It could be using who they have now, or they could go and get AJ Pollock. I could go for that move, too. I will be profiling the top OFs in the Cubs’ system. Aside from Zagunis, the other 3 will all be in low A or short season A ball this year.